TITLE IMAGE with ARISTOTLE, PLATO, GALEN and AHIQAR named in Arabic and Syriac (from right to left). Author: IBN JAZLA (died in 1100 in Baghdad). Title: THE ALMANAC of BODILY PARTS for the TREATMENT OF PEOPLE. MS Glasgow, University Library, Hunter 40. The Arabic text is written in Syriac letters (Karshuni) in the 13th century. Persian teacher accompanied by his servant. Below I copy information from the French publisher Les Belles Lettres. Faire découvrir la richesse des textes écrits dans les langues de l'Orient chrétien, tel est l'objectif de cette collection, la première à placer sur les étagères du patrimoine littéraire de la Méditerranée orientale des textes jusque-là non traduits ou enfouis dans des publications confidentielles. Les meilleurs spécialistes les rendent accessibles par des introductions et des commentaires qui les éclairent et surtout les traduisent en français, souvent pour la première fois. Écrits en arabe, arménien, copte, géorgien, grec, éthiopien ou syriaque, ces textes introduisent le lecteur à la diversité des langues, des écritures et des écrits produits dans le croissant proche-oriental s'étendant de l'Éthiopie au Caucase et à la Grèce en passant par l'Égypte, l’Arabie, la Palestine, la Syrie, la Mésopotamie et l’Anatolie dans les treize premiers siècles du christianisme. C’est sur les vastes pans de la littérature chrétienne qui n’entre ni dans la catégorie des textes patristiques grecs ni dans celle des apocryphes – et donc qui reste très peu connue en Occident en dépit de sa grande créativité – que cette collection veut jeter une lumière nouvelle. Ces textes sont à lire pour les éclairages inédits qu’ils apportent à l’histoire culturelle, intellectuelle et religieuse de ces régions et de ces périodes… et pour le plaisir tout simplement. How can we know the "truth" behind documents from the past? Writing the introductory chapter to a book for a general academic public about the history of teaching the "sciences" in various Islamicate societies, I read a few papers and book chapters about physicians and druggists in Mamluk Egypt. All three historians whose works I read believe that the Mamluk sultans tried to "islamicize" medicine, encouraged as well as supported by religious scholars in Syria and Egypt. To them the term "islamicize" means that Muslims were called to study medicine, that Christian and or Jewish doctors should no longer be hired by members of the elites, that non-Muslim patients should not be treated in hospitals donated by the Mamluks, and that Muslim physicians should not teach non-Muslim students. All such demands can be found in donation documents, laments and criticisms of religious scholars, and comments made by Muslim historians and physicians. But there are other sources that report about the continued existence of Christian and and Jewish physicians until the end of the Mamluk state, about Muslim physicians who taught Christian or Jewish students or healed non-Muslim patients. Thus, how can we make sense of these conflicting reports? Are the first expressions of intentions, goals, and desires of hardliners? Are they strategies to negotiate acceptance and respect between a new sultan or a sultan in difficulties and the local elites? Are they efforts to push competitors out of lucrative positions and markets? Do the second kind of stories describe the realities of daily life, in particular because they often report indirectly about non-Muslim students and doctors in entries about Muslim scholars or dignitaries? What else do we have to know about a specific moment and place in Mamluk history in order to be able to evaluate such conflicting information with some chance to reliability? I think we need to contextualize said documents and stories by researching networks of scholars in a given city or town at the date of a donation document or the composition of a lament about the lack of Muslim doctors. We need to read other stories of complaint to know what was fashionable in a given moment. And we need to know for whom or against whom such religious scholars wrote and Mamluk dignitaries donated hospitals and madrasas. But perhaps all that is not enough for solid evaluations! Fatwas and court cases will certainly also be of help. Maybe some readers of this entry have better ideas. I would be glad to read about them. Arabo-Islamic alchemy is usually considered as an intellectually marginal field. It has been argued that alchemy did not enjoy much respect and that its practitioners were living at the edge of society and should be considered as some sort of outlaws. This project takes a different standpoint by focusing on the Moroccan scholar Ibn Arfaʻ Raʼs (d. 1197). As an expert in Islamic law, hadith and Quranic recitation and as an alchemist, he seems to have been a respected figure in the Almohad period. The project will reconstruct his life, his social and intellectual networks and study his influence and his reception. Furthermore, it will make his magnus opus, entitled Shudhūr al-dhahab(“The splinters of gold”) available to research through an edition and commentated translation. Traditional comparative studies of premodern intellectual histories have one fixed component: a so-called 'Western' society/culture/continent, be it ancient Greece, medieval Latin Europe, early modern Europe or "The WEST". Per se, nothing speaks against choosing "Europe" as the comparative Other. What devaluates such comparisons is their one-sidedness plus the presuppositions that form the basic platform for later comparative results and judgments. Looking for other possibilities to compare premodern knowledge cultures, I am now engaged in building a new research project on the material cultures of the heavens in Asia and North Africa together with Dagmar Schäfer, a sinologist, historian of science and technology and the managing director of the Max Planck Institute for the History of Science in Berlin. The idea is to collect images of the heavens as a whole or in their parts: the Universe, the Zodiac, divinities, angels, spirits, superhuman forces, clouds, rainbows, winds, the elements, forces, energy and so forth. We wish to study the material forms, cultural meanings, practical use and theoretical explanations of such images across Asian and North African societies and cultures. Our goal is to determine their particularities, to trace interconnections between them and thus deduce contacts between different communities in Asia and North Africa. It will perhaps even be possible to locate instances of dialogue and exchange as well as substantive difference. Our first insight is: the ancient Babylonian zodiac was not only transferred to ancient Greece and from there Rome, the Latin Middle Ages and Islamicate societies. It came, probably through Greek successors of Alexander's armed forces, to India, where it was adopted by Buddhist monks and adapted to their iconography. With the Buddhists the Babylonian zodiac moved further East to Japan in the 10th century, resurfacing in tombs built during the Sung and Liao dynasties in the 11th and 12th centuries in China. This transfer and transformation also included the replacement of the standard equal-armed balance for Libra by the Roman steelyard, the unequal-armed balance with one or more counterweights and scales. This shift is all the more surprising as there is no evidence that the steelyard was ever used on market places East of Iran. How to evaluate early modern travel accounts and their descriptions of the sciences in Iran or the Ottoman Empire? There is a widespread inclination among modern historians to trust reports of early modern French, Italien, German or English visitors (missionaries, envoys, merchants. adventurers) of Iran or the Ottoman Empire about the sciences and technology (as well as other aspects of these two societies). While many elements of these accounts can be judged only with difficulties, because there are no or very few independent local sources available that talk about the same issues, description of the sciences can be evaluated by comparing them with extant manuscripts and instruments. Unfortunately, this work has not been done so far. Historians of social or economic history of the two early modern societies rarely have enough knowledge of the sciences in Islamicate societies. Historians of science are often not interested in the study of the skills and scholarly practices of physicians, astrologers, madrasa teachers or chancellery officials in both early modern states. When one checks, however, extant manuscripts for instance on geometry, arithmetic and algebra, remarkable differences to cherished beliefs among historians of science become visible. For Safavid Iran, for instance, the standard belief is that Baha' al-Din al-'Amili's (d. 1622) textbook on these three fields of mathematics, al-Khulasat fi l-hisab (The Essence of Arithmetic), dominated mathematical education. For the Ottoman Empire, no clear position has been formulated. But a friend of mine once said: the elementary works of the Mamluk scholar Sibt al-Maridini (1423-1506) flooded the madrasas and ruined any further higher studies. Neither claim is backed by the available manuscripts in Turkish and Iranian libraries. In Ottoman Anatolia, it was indeed Baha' al-Din al-'Amili's elementary textbook that was mostly read on the lowest level of madrasa studies. But student texts show that it was not the only mathematical text studied in the Ottoman Empire. More interested students read this introductory text parallel with two higher-level books written by the Ilkhanid author Nizam al-Din Nisaburi (d. 1328/9) and the Timurid scholar Ghiyath al-Din Kashi (d. 1429). Students in Safavid Iran occasionally read the Essence of Arithmetic. But the reading canon was much more diversified. In addition to the works of Nisaburi and Kashi they also studied other Ilkhanid and Timurid mathematical texts as well as the standard works of ancient scholars such as Euclid, Archimedes, Theodosius, Autolykos and Hypsikles, mostly in the recensions of Nasir al-Din Tusi (d. 1274). Some even read Apollonius' Conics, a pretty difficult work. The reports of early modern travelers thus appear as one-sided and the narrators as ill-informed. Dictionaries compiled by early modern Europeans in collaboration with Armenian or Arab Christians or Persian converts show how little missionaries or travelers were interested in the intellectual culture in Iran or the Ottoman Empire. But they had firm judgments. Unfortunately, not much has changed since the 17th century. This is an important book. While the political and social history of the early modern Muslim world and especially the Ottoman empire have received a great deal of attention over the last few decades, the same cannot be said for its intellectual history. There have been some excellent studies of individual thinkers—a personal favorite is Stefan Reichmuth’s book on al-Zabīdī—but no synthetic overviews that offer a comprehensive narrative of the intellectual developments in the Muslim world from the sixteenth to the eighteenth centuries (the field of jurisprudence is a notable exception, but there, too, more is needed). This book does precisely that, and the research and effort that went into it go some ways to explaining why no one had written such a book before. Khaled El-Rouayheb’s accomplishment is to define criteria for measuring intellectual vitality and development in a broad number of fields—logic, dialectics, reading strategies, theology, and Sufism among them—and then to show how and why during what we might call the long seventeenth century the scholarship of the central Ottoman lands was revitalized in these areas. In doing so he acquaints his reader with an impressively broad array of scholars, some of whom are well known—Ibrāhīm al-Kūrānī (d. 1690), al-Ḥasan al-Yūsī (d. 1691), ʿAbd al-Ghanī al-Nābulusī (d. 1731), for example—but many more less so (the sheer number of lesser known but significant scholars featured here, along with their scholarly genealogies and most important works, is in itself a valuable contribution). El-Rouayheb shows that the Ottoman empire and neighboring Muslim lands experienced a notable increase in the study of the rational sciences in the seventeenth century along with an emphasis on rational modes of argumentation, often related to the use of the term taḥqīq or verification. It is a particular virtue of his analysis that he is able to show how this development began and ended, and how it relates to the subsequent intellectual developments associated with figures such as Ibn ʿAbd al-Wahhāb (d. 1792), al-Zabīdī (d. 1791), and al-Shawkānī (d. 1834). In the process he makes a compelling case for the continued significance of intellectual history as a field and the counterproductive nature of European frameworks such as humanism and enlightenment when describing developments in the Muslim world. dCollecting material for a short book chapter on the sciences in Safavid Iran (1501-1722), I keep finding numerous astrolabes as well as manuscripts. I also encountered a new book by Stephen Blake on time, calendars and chronology in three major Islamicate societies in the early modern period. While the historical objects delight me, Blake's book deeply disappoints me. His brief section on Safavid astrology provides exclusively information taken from a few, relatively brief secondary sources of modern historical research, ignoring other, more substantive research work, and two French travel accounts of the 17th century. For a research monograph this alone is a major methodological shortcoming. But if the subject would be well and reliably researched, nothing more than such a point would need to be made if the author had correctly presented the results of his predecessors and properly evaluated the reliability and appropriateness of the early modern reports by foreign visitors. Unfortunately, this is not the case. Most of the astrological, calendrical and related astronomical works by Safavid scholars, including astrologers, have never been read, let alone surveyed or edited and translated. Neither do we know much about their biographies and hence about their daily activities. To claim that by the time of the Safavids "the munajjim had become one of the most important men at court" is thus at best a generous speculation, based on what Jean Chardin (1643-1713) reported in his travel account, but not the result of an investigation of the standing of individual astrologers at court under different Safavid rulers. The description of the astrologer's duties is a summary of the standard content of the tables brought together in astronomical handbooks. Safavid astrologers, however, did not produce such handbooks themselves, but relied almost exclusively on works from the Timurid and Ilkhanid dynasties. It is thus unclear how often they truly calculated anew data for eclipses or other astronomical events. The visible difference between occurring eclipses and data calculated with Ulugh Beg's tables, which were often used by Safavid, Ottoman and perhaps also Mughal astrologers (the latter I assume, but do not know), was bemoaned by Ottoman astrologers in the second half of the 17th century. It would have been nice to hear from Blake whether that was also the case in Safavid Iran and if so, what the consequences of such observations were. Equally, it is disappointing that the enumeration of assumed duties of practicing astrologers is not followed by a discussion of evidence for such activities. According to another visitor from Europe, Pietro della Valle (1585-1656), the court astrologers in Isfahan in the early 1620s, for instance, had little interest in observing the comet or any other heavenly appearance. If his claim is true, then they obviously did not consider all duties listed by Blake following Chardin as binding. But whatever the truth of such conflicting reports by foreign visitors might be, these reports clearly do not paint a coherent, consistent image of the astrologers' activities. Thus using merely two of them (Jean Thévenot (1633-1667) and Jean Chardin) cannot deliver a reliable understanding of Safavid practices. Blake's chapter also displays an uncomfortable lack of familiarity with the history of the mathematical sciences in previous Islamicate societies and a lack of accuracy when summarizing parts of the secondary sources he relied on. It remains an enigma to me why Blake thought that (astrological) birthday parties of the Buyid amir Adud (not 'Abd!) al-Dawla in the 10th century have any relevance for a discussion of the Safavids who entered history seven centuries later. 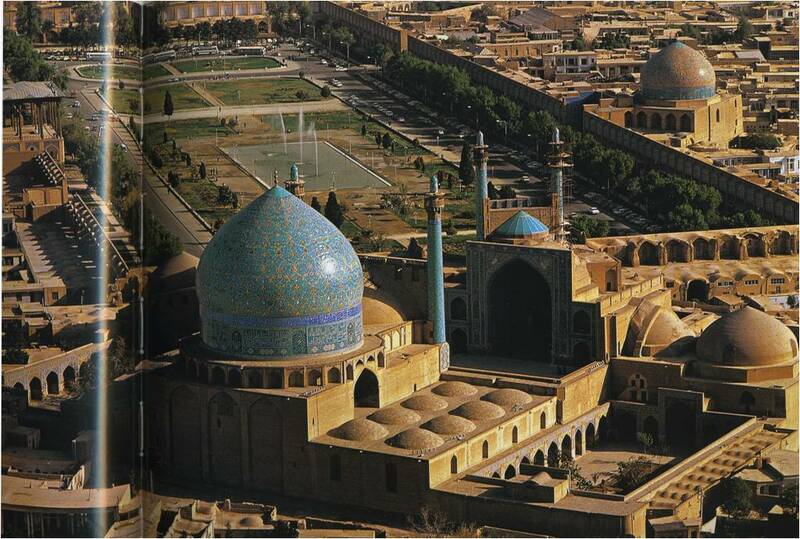 The Ilkhanid and the Gurgani (Ulugh Beg) astronomical handbooks are certainly not the outcome of pure observation. Nor are they the "most accurate and sophisticated astronomical treatises" ever written by scholars in Islamicate societies. They contain outdated material going back to antiquity. From earlier, mostly Arabic handbooks, they transmit observational data by astrologers of the 9th and 10th centuries. Historians working on planetary theory also would deny - I believe - that the knowledge and skills needed for compiling a handbook was more sophisticated than that needed for creating new models of planetary movements. Moreover, without clearly formulated criteria, such judgments are all too often in the eye of the beholder and his or her knowledge of the particularities of the matter. Blake's knowledge of some such elements or his attention to his text in any case was clearly limited. In his glorifying depiction of astrologers from territories today belonging to Iran, he makes the following surprising claim:"By the mid-eleventh century, furthermore, Iranian astronomers had fashioned a new synthesis - the language was Persian but the system was predominantly Ptolemaic, with Sanskrit, Zoroastrian, Assyrian, and Syriac elements added." As his source he gives the entry "Astronomy and Astrology" in the Encyclopaedia Iranica. The author of the respective part was David Pingree, who - despite all his admiration for Iranian scholars which many of us share - did neither claim that the astronomical theory translated from Arabic into Persian or summarized directly in New Persian since the late 10th or early 11th centuries contained "Assyrian and Syriac" elements. Nor did he attribute the multicultural, but predominantly antique astronomical knowledge discussed, criticized, taught and practiced by scholars of different ethnic origin and faith in Islamicate societies to efforts of only Iranian scholars from as late as the 11th century . Pingree, however, wrote about traces of elements from the Late Babylonian period that can be found in Arabic (or Persian) material. A quick and simple check on the Internet clarifies that the Assyrians were not the Late Babylonians, neither in time nor in geography. There are other regrettably imprecise or false statements in Blake's short section on Safavid astrology. Not having access to the entire book, I hope that other parts of his book are written with more care, methodological reflection and respect for the primary sources. Moving between my various work obligations, I spent several nighttime hours searching the digitized manuscript collections of libraries in Iran (Majlis, Malik, Astan-e Quds). The website of the Majlis Library is the best to work with. Malik and Astan-e Quds want to have Iranian mobile numbers, thus excluding me from accessing their digitized manuscripts. Writing emails to them in English or Persian does not help either, unfortunately. Asking Iranian friends for help, simply gets me back to square 1. Maybe I need to try another friend and see whether she can get me registered. The hours I spent virtually in the Majlis Library were very satisfying. I found material which I did not expect to find and I run into one or two little gemstones, which one never can search for in a systematic, planned manner. Despite our bad opinion about the mathematical skills and interests of Safavid scholars, Majlis' collection shows beyond doubt that we err here too. I do not claim that the Safavid period produced great mathematicians. I am certainly not one of those postmodernist academics who believe that positivist historians of science got everything wrong. I do not wish to glorify any scholar in any period. But the negative opinion that mathematicians and historians of mathematics have formed about the scientific life during Safavid rule since G.H.F. Nesselmann published in 1843 Baha' al-Din al-'Amili's (d. 1622) Khulasat al-hisab in an Indian edition is not supported by the mathematical texts copied and often studied by scribes, students or teachers in Shiraz, Isfahan and other Safavid cities. They were more broadly interested, read more systematically again ancient texts in their editions by Nasir al-Din Tusi (d. 1274), studied several Ilkhanid and Timurid authors and turned occasionally even to a few of the luminaries of Fatimid or Abbasid times.